What does the “coolest little capital” have to offer? 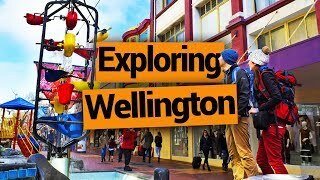 Buzzing with life and offering more things to do than you have time for, “Welly” is the perfect city for backpackers. The main reason being that Wellington can easily be enjoyed on foot – just walk around the city and embrace its positivity! What’s more, enjoying Welly is cheap. Of all the activities on this list, the most expensive is the Weta Workshop tour or a rugby game ticket, and both are still under NZ$40! That’s what a traveller on a working holiday visa wants to hear right?! If you have some extra time in Wellington, don’t miss our Wellington – Guide for Backpackers that unveils more stuff to do around New Zealand’s capital city. 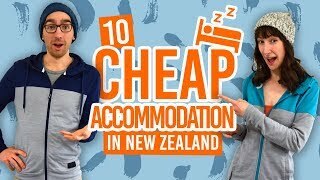 Plus, save on the cents by staying in these 12 Best Backpacker Hostels in Wellington. Offering the best vantage point of the city, Mt Victoria is easy to climb and the lookout offers 360-degree views of the surroundings. That’s a postcard-like parent-friendly picture anyone will be glad to see! Location: Just head for the mountain! But for a more detailed description: At the eastern end of Courtenay Place, cross Cambridge Terrace and Kent Terrace, walk along Majoribanks Street until you see the sign to the Southern Walkway. Follow the Summit Walkway to the lookout! Hire a bike for 2-3 days and follow the Remutaka Cycle Trail starting in Wellington Harbour and finishing in the Turakirae Head, home to a colony of 500 fur seals! It’s worth noting that the trail is one way, so be prepared to bike it back or sort out return transportation. Find out more in our 10 Great Bike Trails on the North Island. Any Lord of the Rings tour in Wellington will include a visit of the Weta Workshop Studio amongst many other Middle Earth locations around the area. For the money-savers out there, the Weta Cave is free to visit and the Workshop Tour is under NZ$30. Find out more in Guide to The Lord of the Rings in Wellington. Cuba Street is a must-see in Welligton. Quirky and featuring boutique cafes, bars and shops, it represents perfectly what the city is all about. Take your pick of one of the many coffee shops and indulge! The Westpac Stadium hosts regular rugby games – the place to see the local rugby union team, the Wellington Hurricanes. Welly is also a regular host of the Sevens, a huge rugby tournament where supporters wear costumes and parties well past the end of the game. 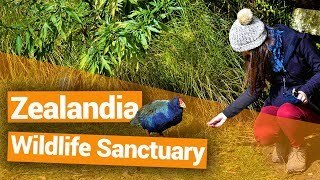 The eco-sanctuary protects and helps release the most fragile species of the country, such as the kiwi bird, the weta insect and the tuatara 3-eyed lizard. Yes, you read it right – a 3-eyed lizard! Zealandia is a must-visit if you plan on spotting any of those rare species when backpacking in New Zealand. The beehive-shaped building houses the most ferocious animal of the country, the politician! This is where New Zealanders discuss and pass bills: this is where out country is ran. Tours are free and run 7 days a week, so no excuses! 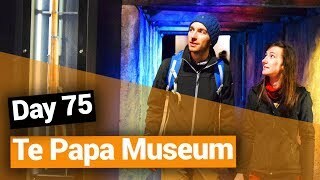 The historic cable car has its own museum and can take you from Lambton Quay to the Kelburn Lookout. It is one of those photo opportunities you can’t miss in Wellington! Plus, a ticket is only NZ$4 so… Worth it! Wellington comes alive at night! The vibrant nightlife features great live performances in many bars, along with fun-loving individuals that love meeting new people. Check out the bar scene in our “Awesome Bars in Wellington” article. Free of charge, the national museum is one of our favorite city attraction of the country! We love it so much in fact that we made a whole article about the 10 reasons why the Te Papa museum is simply unmissable. Pictured here is the world’s only specimen of a giant squid.